Every high-octane horsepower enthusiast is familiar with the muscle car formula: take a big motor, insert it into a lightweight chassis, then delete any creature comforts or other unnecessary accessories. What’s left is just what you need to go very fast, and nothing else. The all-new 2017 Victory Octane is the two-wheeled expression of that concept, with a modern twist. This is raw adrenaline that rules the streets. 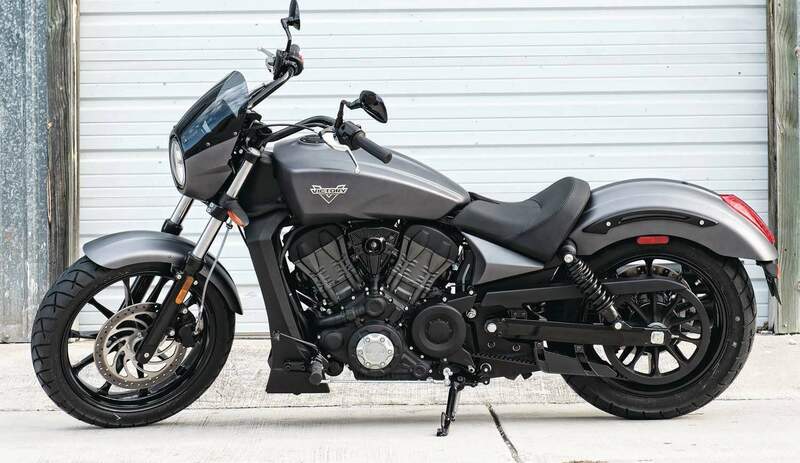 A 1200cc, liquid-cooled V-twin—Victory’s first-ever liquid-cooled engine—utilizes dual overhead cams and four-valve heads to rev beyond 8000 rpm and put down an authoritative 104 horsepower. That’s more horsepower than any Victory motorcycle ever built. 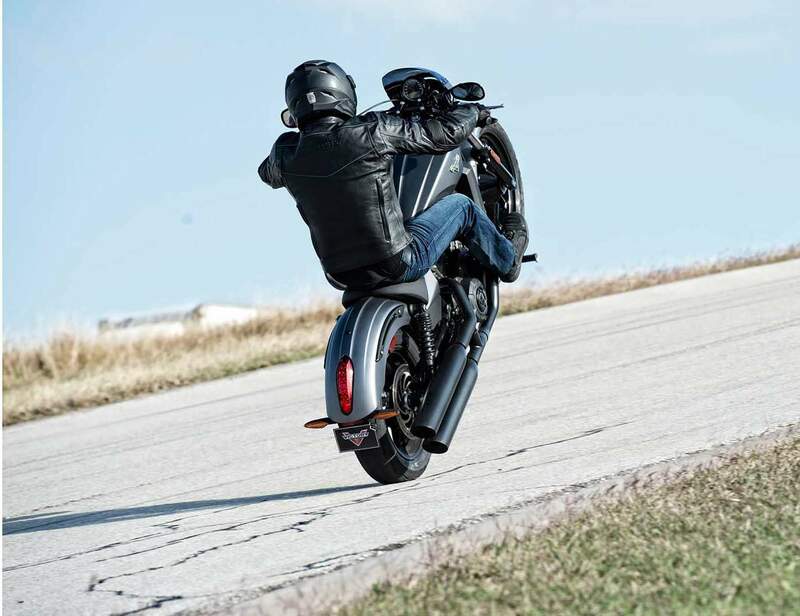 And weighing just 528 pounds, it’s the lightest Victory motorcycle ever built, too. No surprise, then, that Octane is also the quickest Victory down the quarter-mile, and the fastest from 0-60 mph, too. And with a price starting at just $10,499, Octane runs in a class of its own. A stiff and light cast-aluminium frame transmits every last one of those horsepower directly to the pavement. 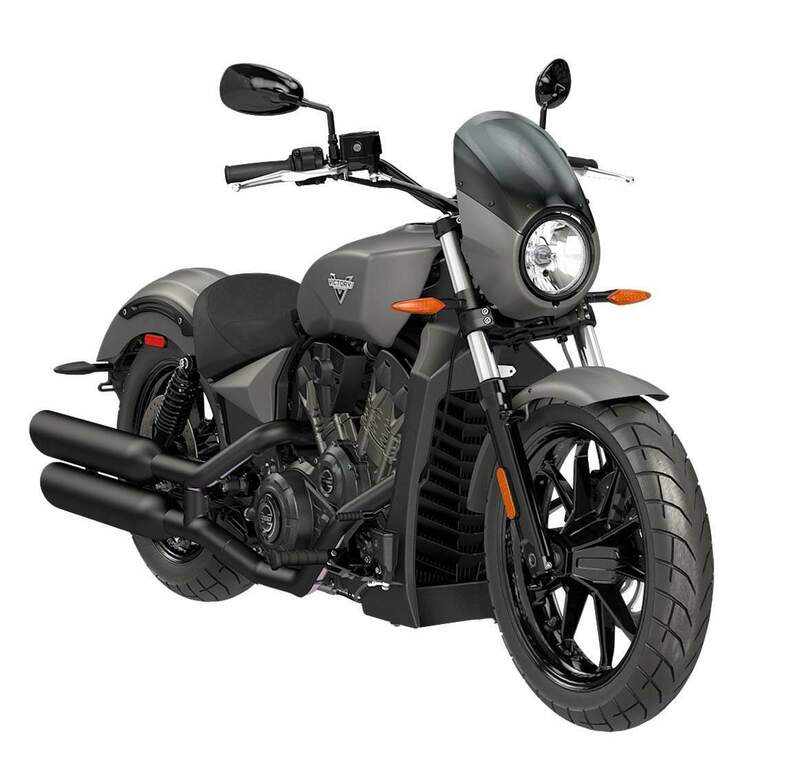 Sharp steering geometry, a tight, 62.1-inch wheelbase and 32-degrees of available lean angle deliver agility previously unknown to American V-twin motorcycles. 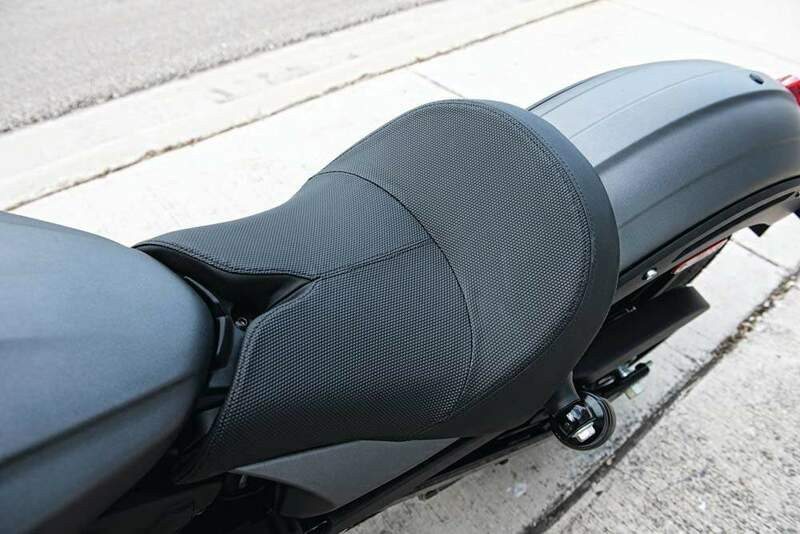 Muscular styling cuts an undeniably modern profile and a sportbike-inspired bullet cowl improves airflow over the rider at the triple-digit speeds Octane is built to achieve. Developed from the Project 156 prototype that was tested at the most demanding racing event in the world—the Pikes Peak International Hill Climb™—the 60-degree V-twin features short-stroke engine geometry just like the Project 156 racer to allow higher engine rpm and more horsepower, and a quick-revving engine response more like a sportbike than any traditional American V-Twin. An electronically metered 60mm throttle body feeds high-flow, 4-valve heads operated by dual overhead cams, and liquid cooling quenches the heat that is the byproduct of generating 104 horsepower and 76 foot-pounds of tire-shredding torque. Geared short for quicker acceleration, Octane can sprint down the quarter-mile in 12 seconds and rush from 0-60 mph in less than four seconds. With the heart of a racer, Octane has power to burn. Raw power is only half the musclebike equation. You also need a solid chassis that can transmit all that power to the pavement and also hold a tight line when bent into a corner. Octane’s solid-mounted powertrain is a stressed member that connects cast-aluminum front and rear frame sections, with twin tubular-steel backbones for added reinforcement. This rigid assembly is suspended up front by a 41mm fork equipped with dual-rate springs for solid front-end feedback over any type of pavement, and out back with stylish laydown shocks mounted 53 degrees off-horizontal, also equipped with preload-adjustable dual-rate springs. Oversized, 298mm disc brakes with stainless-steel lines at both ends wait at-the-ready for those rare occasions when you want to shed speed, instead. Cast aluminum, 10-spoke wheels are sized and shod for sure-footed handling. The 18-inch front wheel wears 130/70-18 rubber, while the 17-inch rear wheel is wrapped with a 160/70-17 tire. A low-slung solo saddle that rides just 25.9-inches above the pavement, an equally low pullback handlebar and semi-forward-set foot controls create a riding position that looks properly badass but still provides adequate support when the rider grabs a big handful of throttle and the bike wants to rocket off the line. There are no smooth, flowing lines here. Octane is the most aggressive Victory motorcycle ever built, and the styling has been revised to suit with harder lines, sharper creases, a more-pronounced center spine and other details that make Octane look leaner and meaner than any American motorcycle ever before. The bullet cowl is standard equipment and screams to oncoming traffic that this bike is built for speed—the only thing other riders are going to see is the LED taillight disappearing into the distance. Chrome won’t get you home, so there’s hardly any shiny stuff on Octane. The bulk of the chassis, running gear and powertrain are blacked-out, and Matte Super Steel Gray bodywork looks all business. Even the tank badge has been cast in gray instead of the traditional Victory red to create a modern, monochrome look. Based off a proven Polaris® platform, Octane uses a significant number of unique parts specifically designed and engineered to deliver the high-performance, raw-adrenaline riding experience Victory riders demand. With a high-revving engine character and surprising high-rpm power hit, it behaves more like a sportbike than any American V-twin that has come before. With unexpectedly low weight and lots of available lean angle, a well-ridden Octane will embarrass many replica-racers down a twisty stretch of pavement. And with pricing starting at just $10,499, it’s less expensive than most supersports—and tougher looking, too. 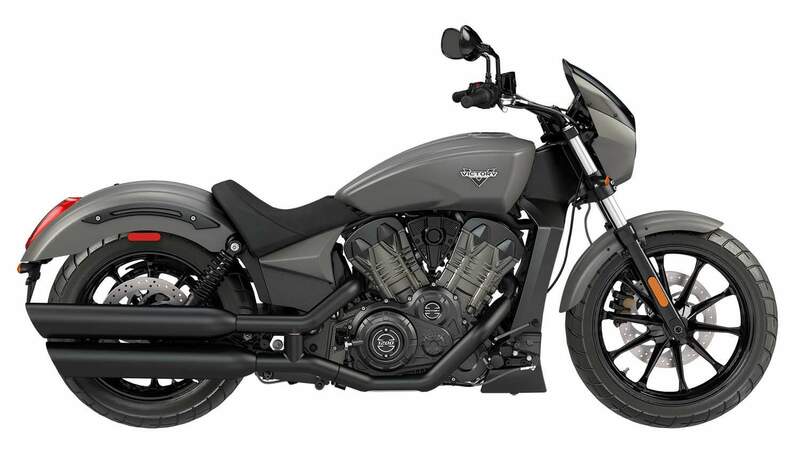 Fast, capable, stylish and affordable, Victory’s Octane is the formula for the Modern American Musclebike.